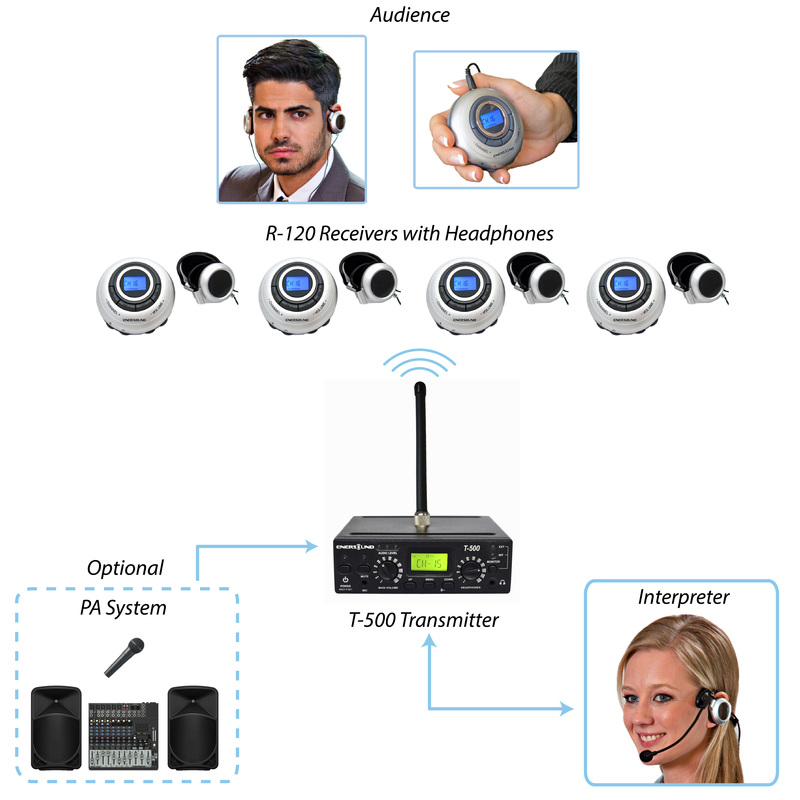 This 100-person Professional-grade Wireless Simultaneous Translation System provides superior sound quality and excellent coverage range, combining multiple-channel transmitter and receivers, as well as improved reliability and versatility. It can be expanded by adding an unlimited number of additional receivers. More foreign languages can be added for a maximum of 6 in the same room by purchasing 1 additional transmitter and microphone per language. Click the button below to add the 100-Person Translation System with Interpreter Monitor to your wish list.